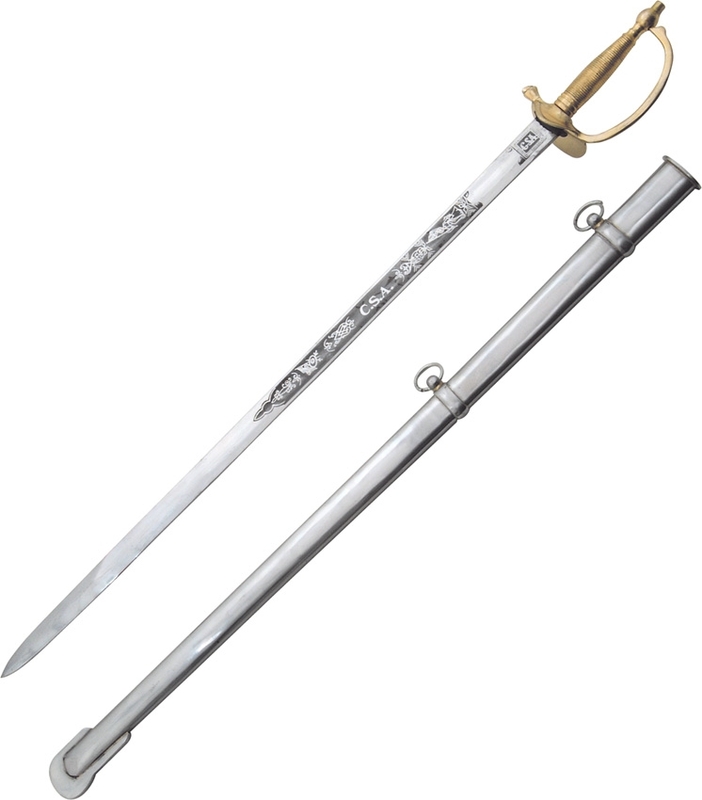 India made pa884 csa officer's dress sword. 35 1/8" overall. 29 1/4" unsharpened steel blade with ornamental etching. Brass handle, hand guard and pommel. Metal scabbard.